I was once a little Catholic boy who had been baptized in Paris, Illinois St. Mary’s Church and confirmed at St. Mary’s Church in Marshall, Illinois where my family attended. As I look back on this second year class of spiritual direction from September, 2018 to May, 2019, the first thing that I distinctly recall may have been from the first class meeting. I recall being commissioned or blessed by Sr. Barbara and Sr. Susan with either Holy Oil or Holy Water, anointing my forehead in the shape of a cross. I view this as my second confirmation in the Catholic tradition. I highly value and respect this gesture of faith as I value my first confirmation. In view of the preceding prayer/poem, let me continue to speak from my heart about my continual calling to become a spiritual director. This patient trusting and finding God’s desires for me and where my own deepest desires meet in my inner man is different from the ways in which I have previously operated. In the past I have been very quick to decide and take action, without taking appropriate time concerning business decisions, thinking that the opportunity might not be there if I did not act in time. I have found that with God’s work there is always time to act, time to decide, and if a less than better decision is reached, there is time to slowly discern another path. Discernment is not so much about making decisions as it is reaching interior freedom to be or become who God wants us to be and in any case to do the most loving thing in any situation in which we find ourselves. For instance, I wrote a book, Let God In: One Ignatian Journey, before I began my Spring Hill College studies, as a response to a call to promote Ignatian Spirituality while taking the 19th Annotation. I thought I would publish it right away, but it did not work out that way. It is now in the process of being published and the past class year has helped me as the book has slowly been edited and I have used some of what I am learning to refine this work. I have discerned that some of my original ideas about how to promote Ignatian Spirituality are not the right things to do at this time. I have discovered the interior freedom to let go of these ideas. These classes are an intermediate stage of my calling to be a spiritual director, or my calling to use this training in another method, if not spiritual direction, to bring greater glory to God. For instance, if my book takes off and I am invited to promote the book and Ignatian Spirituality in other ways, I have the interior freedom to perhaps not do as much spiritual direction as originally planned. Taking too many commitments might result in overload and being ineffective. I am pleased that two directee’s came to me and that one is female, the other male, that one is more of a “conservative” Catholic, and the other more a “progressive” Catholic, one is younger, the other is older. One has already asked me to continue the spiritual direction relationship after the six month SHC class period is over. The differences in personality types has been very helpful. It has been very fulfilling to be a spiritual director to each of these individuals. One lives in an assisted living facility and it is possible that giving the 19th Annotation in a group setting there may eventually be appropriate. I pray for proper discernment. I am also pleased that although not many know about my being a spiritual director, others have sought advice from me about spiritual matters. I will wait until these classes are over to take on any more directee’s. I feel the slow and patient work of Bob Fitzgerald and Sr. Susan and Sr. Barbara have been very helpful regarding the progress I am making in formation. These classes have provided needed time for reflection, careful consideration, and thoughtfulness. I have had time to read additional books, Looking into the Well, by Maureen Conroy, and Ignatian Journey, by Kevin O’Brien, S.J. I particularly advise Ignatian Journey and suggest it for future classes as one of the final readings because it gives a helpful synopsis of the Spiritual Exercises and one can use it as groundwork for giving the 19th Annotation. I left the Catholic Church at about 20 years of age for matters of conscience, becoming a conscientious objector to war, and joined an historic peace church. This was before the new Catechism. I did not know of Vatican II allowances for my beliefs. In the process of returning to my Catholic roots I have been baptized again, ordained a deacon, commissioned a pastor, and ordained an elder, but God is not finished with me yet. My anointing, blessing, or commissioning by Sr. Barbara and Sr. Susan is another highlight of my life and the continual and gradual formation of whom God wants me to become. Every class session has been a new and deeper confirmation as I recognized the Holy Spirit at work in the world and in my life. I suppose the Holy Spirit is supposed to come to us at Confirmation. I suppose the Holy Spirit is supposed to come to us at other junctures in our lives, ordination, marriage, commissioning, etc. I suppose the Holy Spirit is supposed to come to us at baptism, even if baptized as an infant, as I was, or baptized again in my second conversion experience, or coming again when I experienced the 19th Annotation in a third conversion experience. I think the Holy Spirit is always coming to us, always confirming us when we discern and choose wisely. Eternity is left for us and has always existed for God who is always purifying something or someone, always making new or renewing His plans for us to bless us and not curse us. It is not so much about making immediate choices but about experiencing inner freedom to act according to the most loving option in every situation God brings to us. Only God knows His plans. Only God knows our future and the hope He has for us. Until then, let us patiently trust. It was a beautiful day yesterday, a fall day at the end of October in 2017. Leaves are changing and I am at St. Ignatius House in Atlanta, GA, for a class in Spiritual Direction. I arose very early this morning intending, I thought, to do my daily reflections with Scripture and do some review of material for the class, but I didn’t. It came to me to go first into the Adoration Chapel to just sit with the Host and Jesus (Catholics believe in the real presence of Jesus in the Eucharist). I did some centering prayer, trying not to think of anything, just breathing in, “Yah” and out “weh” or “Yahweh.” I did that a while and since I was very close to the Monstrance,[i] I got up just to be sure the Host was actually in there. Now I believe that God is in all things and all things are in God. The Apostle Paul noted a Greek poet, “In Him you live and move and have being.”[ii] I believe that, but some theologians don’t believe Paul really believed what he quoted. I recently talked to one of them who does not believe that. But I do. I sat back down and wept silently since other people here are in a silent retreat, although I was all alone in the Adoration Chapel, excepting with Jesus, of course. Jesus was there too. If you don’t believe that, believe Jesus was is in me and He is in you, at least the image of the Divine and Mysterious One is in us all. I thought that as little as I know, and all the religions and religious institutions of the world know, including Catholic, Protestant, Jewish, and Islamic, if all poured together in a bucket, would know nothing, being just be a drop in the ocean compared to what God knows. God knows how to talk in all languages including Angelic ones, He knows how to read and write in all languages too, and how to order and create the whole universe, how to create life and how to take life, just at the right time, like he took my uncle Bill’s life and received him unto Himself. I know God heard me when I asked, “Jesus, You here?” I know He was looking down when I asked Him that, thinking I am precious in His sight, that I am a beloved sinner and He knows all of my sins since He lives in me, and I live in Him. I love you Father, Son, Holy Spirit, Divine One, and you too, Bill McCulley, and you too, the reader whom God loves, and is in, at least by His image inside of you. In you and you in us, we are one. As we give up our sins. Thank you for your Peace. Thank you for being so gentle with us. May we be your instruments? Holy Spirit, you are so good. Holy Spirit, we speak to you. We praise to you, and find you deep down inside of us. We know you, Holy Spirit. Seek, Identify, and feel God’s presence in myself and in others, and share it…. Just to think… Whatever tragedies hit our lives, just to pick up our eyes to look into the eyes of another beautiful human being created in God’s Image, is one step to Eternity.. It is a step outside of ourselves, into the I Am of another..
Will we still go up to pray? When the answer is no..
To still go up to pray…. Is there Peace in Jerusalem? I really valued books… Recently, I think I may have valued them too highly, at least for monetary value, for the type of books I have. I have suffered some reversals the past few years, some of which are causing me to evaluate declaring Chapter 13 Bankruptcy. In Chapter 13 Bankruptcy, one has to put a value on things one wants to keep, and pay it back to the Bankruptcy Court in 5 years. In the paperwork I filled out, I used the value of $250 for “Books, mostly old, relating to woodworking, religious books given to me by the church I was a pastor in, etc.” I have hundreds of books, as Ben Talmage, to whom I gave some of my duplicates will tell you. I think I valued them much too highly… It is hard for me to even give away the duplicates I received when another pastor of the denomination I used to serve died and his family gave them to me, knowing I liked books. Oh, that reminds me of another “book time.” This goes back to the time I was having a religious transformation experience while I was in college at Samford University. (Oh, I used to work in the Rare Book Library there.) I came to Alabama to attend Samford University, where my uncle, Dr. Everett Lemeron, taught accounting and other business related subjects. I lived with him, and my aunt (by blood) Gladys Lemeron in their home in Cahaba Heights, a city close to Birmingham and Samford University. This made it easier on me to pay my way through school in those days, where it never occurred to me to get a loan, if one could have back then… Anyway, after a year at Samford, I got this “buggy” idea (to my aunt) (a devout Nazarene who grew up in the Free Methodist tradition) to observe the 10 commandments. Now that entailed my ceasing to help out around the house on family work day, Saturday, which happens to be the Sabbath… Also, to exacerbate the conflict, I was beginning to understand some of Jesus’ ethics, such as to “Love your enemies, do good to those who despitefully use you,” etc. on the path I had been taking since my late teens of becoming a conscientious objector, which I am to this day, although I am no longer a Sabbitarian after practicing that law for about 25 years before coming to an understanding of the New Covenant. But I gave away most of the books at a another transition point in my life. I later moved into a home owned by the family of a Worldwide Church of God friend, Kay Kimbrough, at 305 Woodward Road, in Midfield, AL not with Kay, but several of us young Worldwide Church of God boys, including Larry Carter, and Donnie Parker. This was the Birmingham bachelor house for the young men in the church, including nearly all who passed though from all over the country. Everyone was welcome, and I shared everything I had with everyone who needed it, including fish for breakfast (just like Jesus???) because that is all I had on that day. The fish was steamed in my Wearever cookware I sold to single working girls back then, but that is a whole another story..? :):) Some of our guests did not like fish for breakfast, so they went to the local Shoney’s…. Back to the books…. Donnie Parker, apparently surmising how much I valued my books, kept bugging me to give up my books because they were secular, and not religious books… He wagered with me that I should throw away all my books because they were vanity… I wagered back that if I could do 100 pushups he would give me all his Bibles (he had quite a collection and all kinds of translations) I would throw away my books and his Bibles would be mine. I won, having grown up on the farm, working hard. I was strong back then.. Donnie was a couch potato and could barely do one push up back then. I disposed of my books, throwing them in the trash, all except three or four thick ones which were propping up the end of a used bed I had that had a broken leg. I have never really planned on making another transition in life and giving up everything again, including my books, especially not at 65 years old, which I turned on January 15th, 2014. I have listed some things I would like to keep, like half the home Wink and I have completely paid for, and some personal hand tools, and a chest of drawers my Great Great Grandfather Alexander Hinkle, who was a cabinet maker too, and a farmer, and also a conductor on the Underground Railroad, and six chairs he made. The books, $250…I valued them too highly again, apparently… I already sold all my big woodworking equipment, and gave the money to a bank I owed to nearly pay off my line of credit, which they responded to by closing my line of credit, making my problems worse that before… Oh well… The idea I have in life is now to ask, Does it rust? If it rusts, don’t value it so highly… Don’t cling to it… I think Jesus had some things to say about that, even saying it about Silver and Gold, which according to Jesus, rusts… Scientists are apparently unaware of that idea, that Silver and Gold Rusts, but some scientists who do not know this may not know Jesus and may not know that everything has a radioactive half life and when viewed in the lenses of eternity, are not really worth keeping… Also, thieves can break in and steal them. It is loving one another that needs to be valued, even one’s enemies, according to this Jesus person… That is what will last… I have even been arguing with prestigious religious people who may not really understand such matters lately… It is hard on one to understand such things…. One has to give up ones prized possessions, and be willing to carry crosses around, and to die, and to bleed all under the altar at the foot of various punishing instruments, like the U.S. economy, greed, capitalism, rampant consumerism, and various military industrial complexes, and such things as crosses we agree to bear as we are transformed by Spiritual substances (homoousios) http://www.britannica.com/EBchecked/topic/270595/homoousios which will never rust. Back to the books… I am going to pick up about 20 books that I was unable to give away tomorrow, Sunday, one of the days I now worship God on, along with Monday, Tuesday, Wednesday, Thursday, Friday, and Saturday too, the 7th day of the week.. I plan to offer them to Greg Rogers, another pastor friend of mine, and see if would like to have them. I am thinking too about another book, the Book of Life, mentioned toward the back of another book I value, the New Testament. I think my name is written in it, and yours too… I think toward the end of this book, the Everlasting Grace and Love of God is also mentioned, where the City is mentioned, that has gates that are always open, and great big loudspeakers sounding out, Come… Come, even to the worst of our enemies, even to those not yet in the book of life, even perhaps to the fallen angels who may be able to be transformed… It is a city that values such things as Gold, which is used to pave streets until it rusts again and has to be reknewed…. 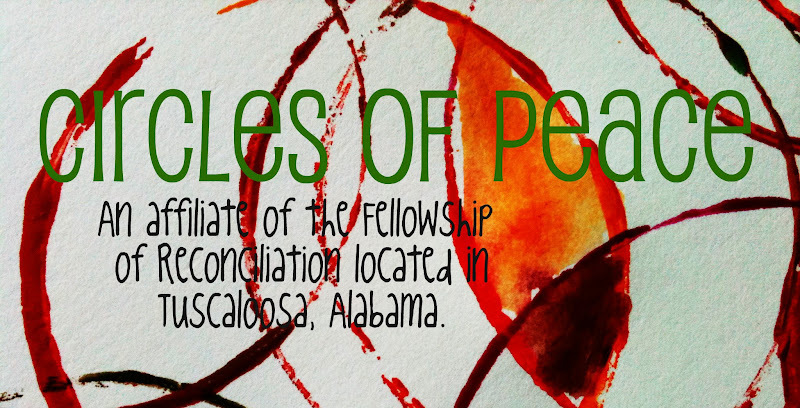 I Am a Peacemaker… Can’t find a place to practice the art….